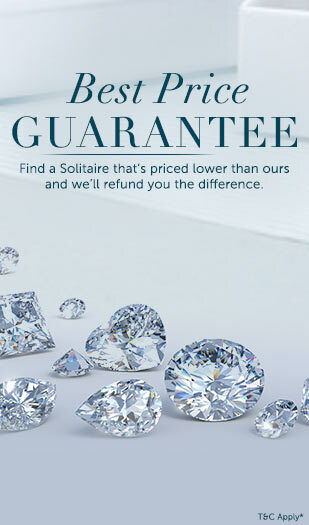 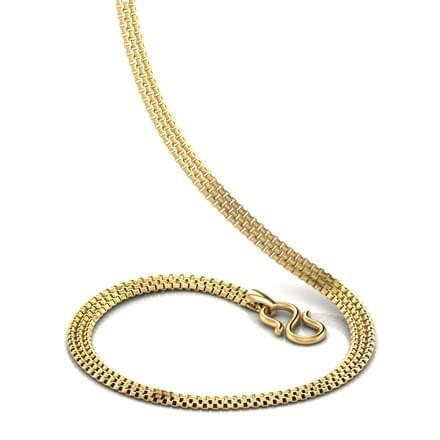 An artistic display of finest craftsmanship comes alive through an array of latest gold chain designs with price that are enlisted on Caratlane; the online jewellery shopping interface. 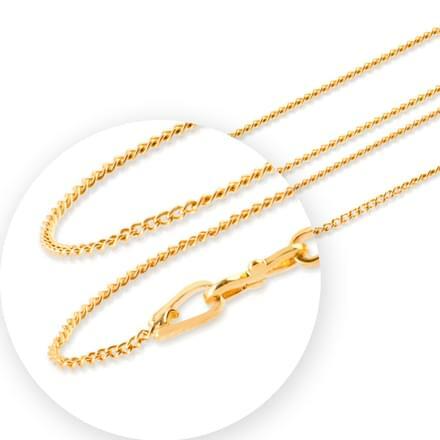 And if you are wondering what the different gold chain models are, then you will be surprised to know that there are gold evening chains along with an exciting range of gold chain for men latest designs. 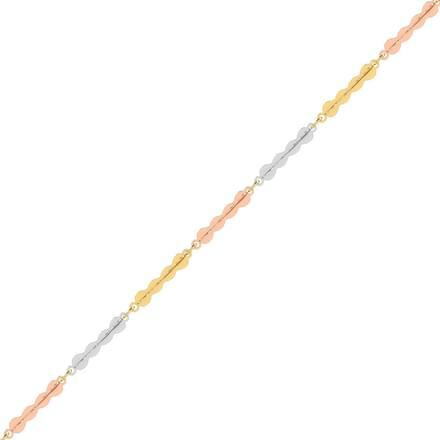 Planning to buy a lifetime gift to an infant? 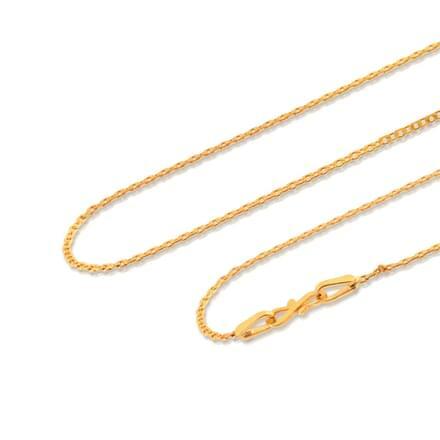 Then your search ends with the gold chain for baby collection. 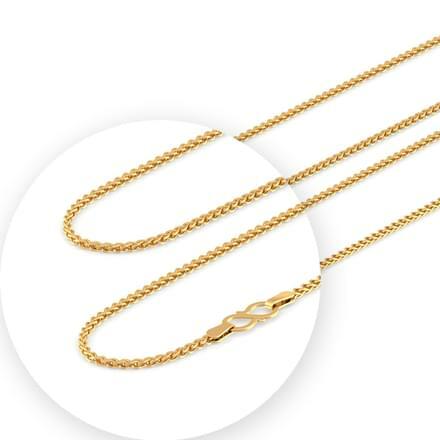 Enabling jewellery lovers to revel in their longings for these sophisticated pieces of delicate workmanship, the gold chain online collection of Caratlane featuring multiple tones of the precious metal is a class apart. 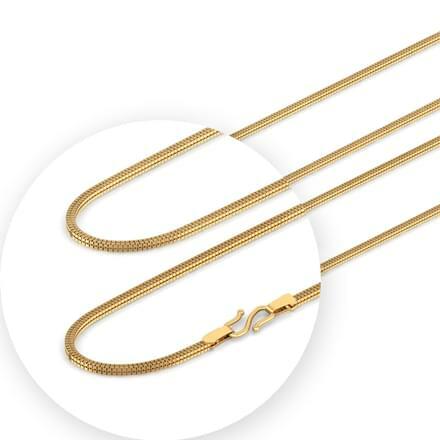 Along with 22K yellow gold chains, the striking presence of gold chains crafted using 18K yellow, rose and white gold long chain designs complete the assortment of delicate neck adornments for both men and women. 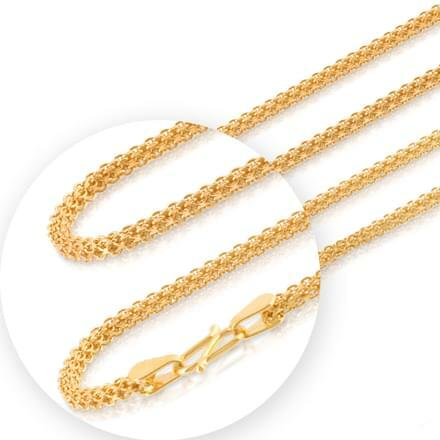 Predominantly crafted to enhance the looks of a bride, a wide range of gold wedding chains price in India bestow the benefits of choice and affordability as far as gold jewellery shopping for weddings is concerned. 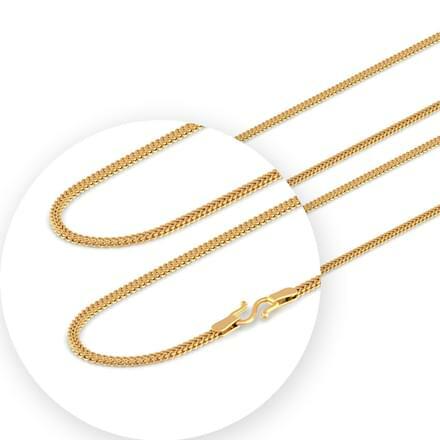 The luxury of choosing a gold chain with pendant alongside ordering gold chain for women pleasantly adds a permanent sheen to the wearer. 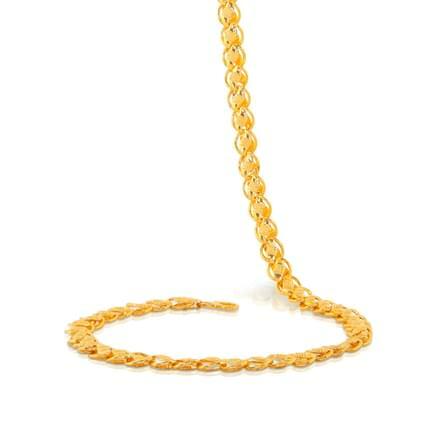 There are others which come under the umbrella of gold evening chains; the scintillating party-wear collection that makes heads turn. 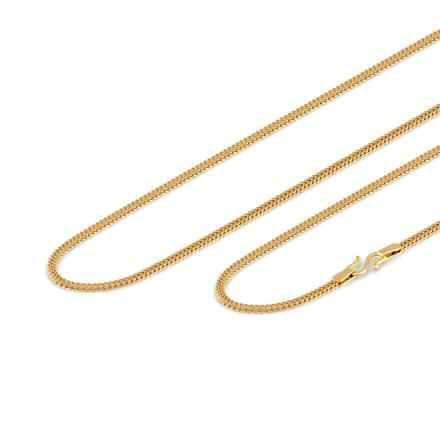 Celebrations of the season of love are incomplete without gifts. When you fall short of words to express your love, an ornament comes in as the cupid, strengthening the bond between the giver and the receiver. 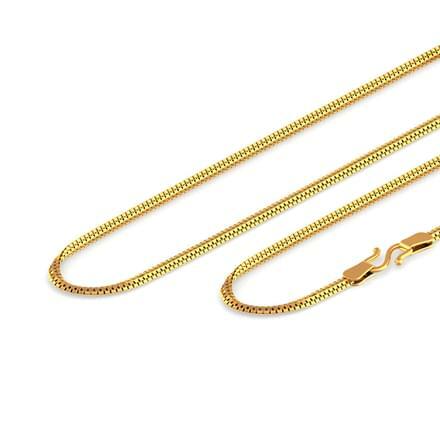 So is the case with gold chains that can be ordered as gifts. 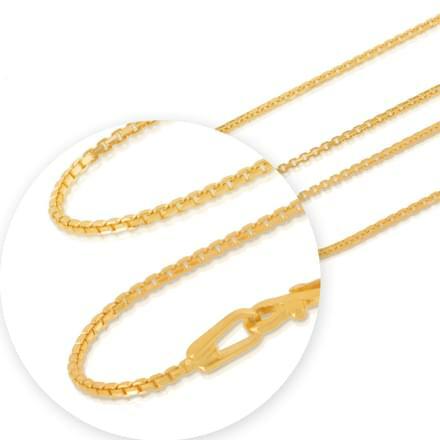 While there are chains which are exclusively crafted for your better half, there are others which are sure to bring a smile on the lips of your best friend. 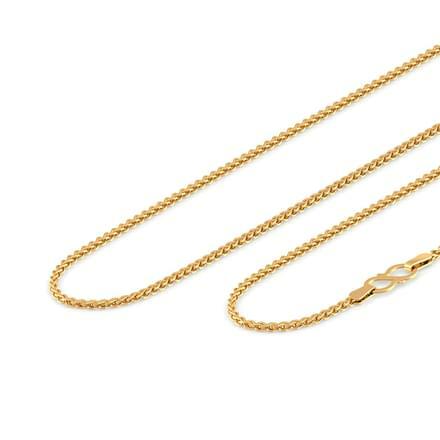 Alongside complimenting the women of your life through ornate necklaces, a host of wedding and anniversary gifts for women are up for grabs. 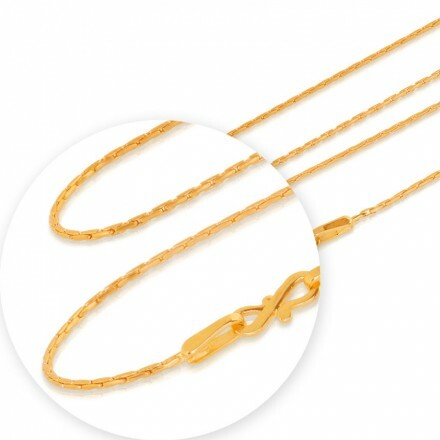 Planning to surprise your husband with a beautiful piece of gold on his big day? 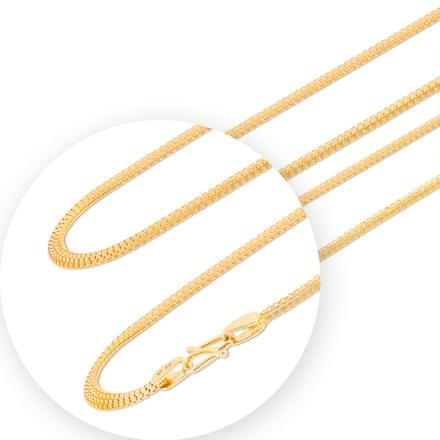 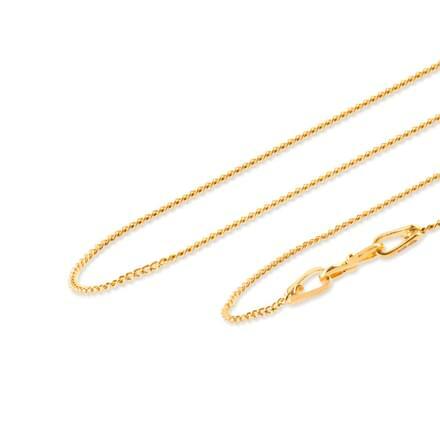 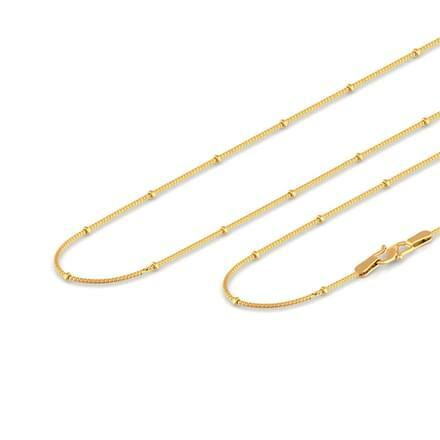 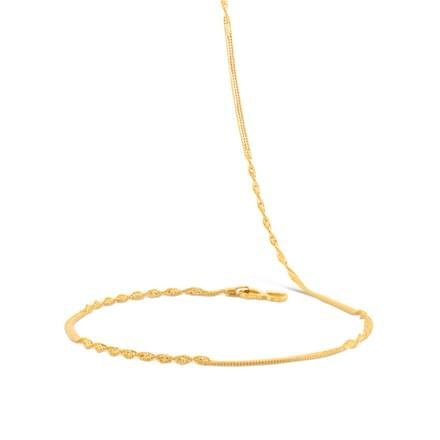 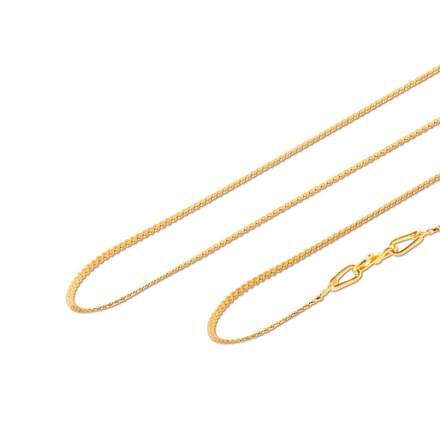 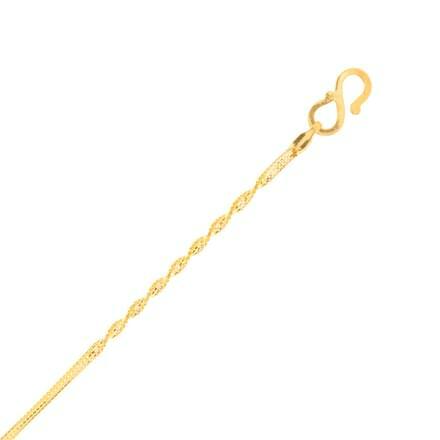 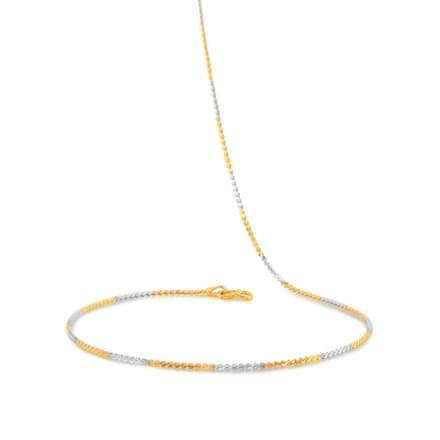 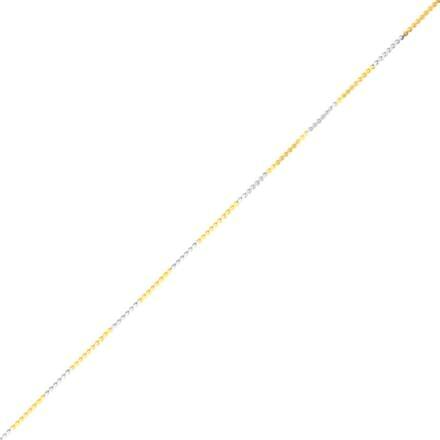 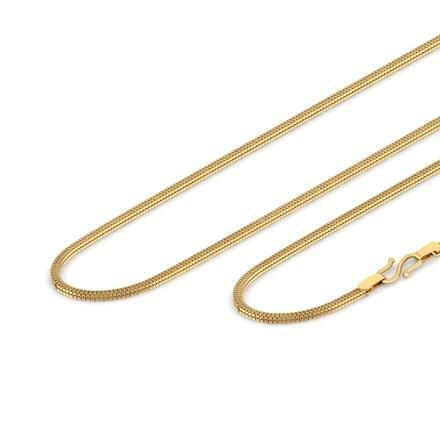 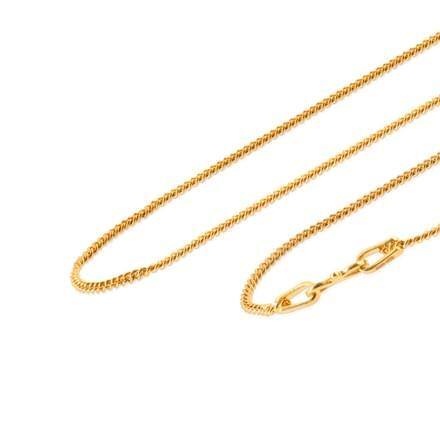 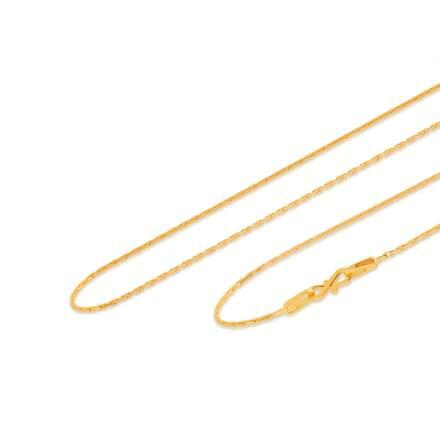 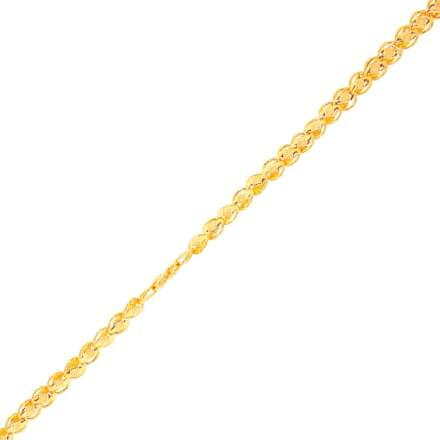 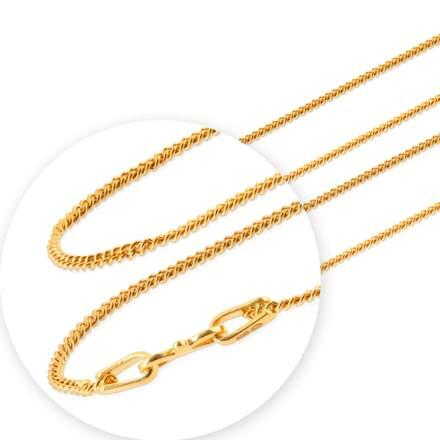 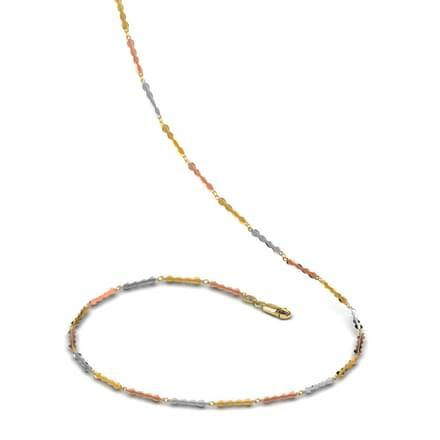 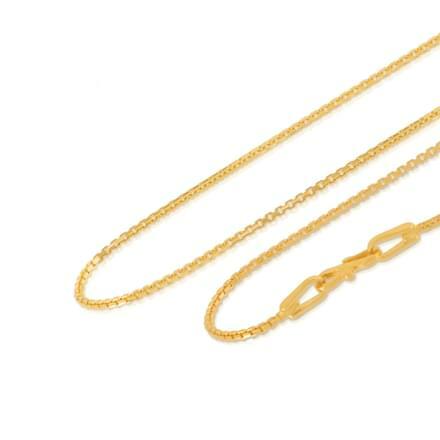 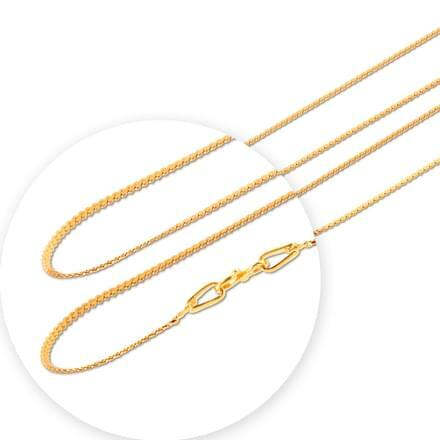 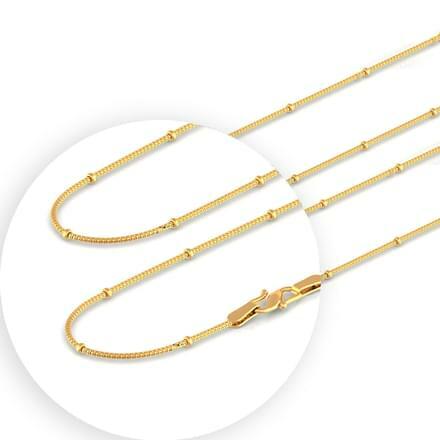 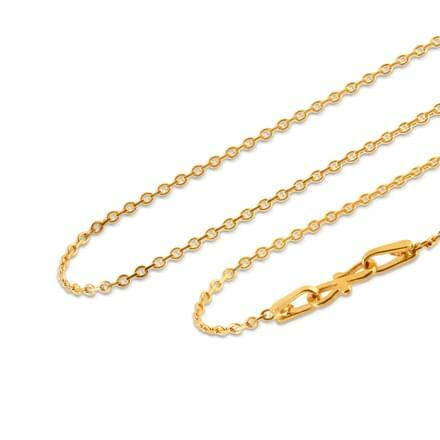 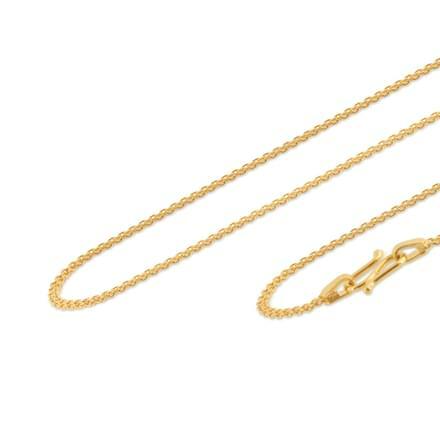 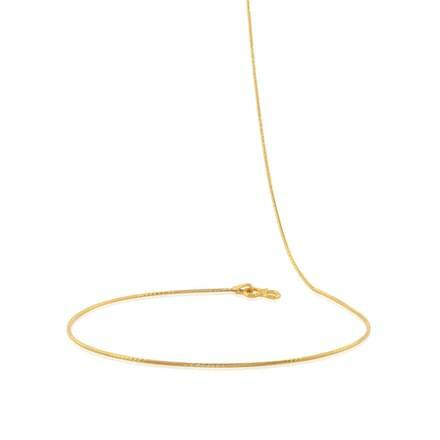 Then look no further and order a gold chain tagged under the category of birthday gifts for men via Caratlane. 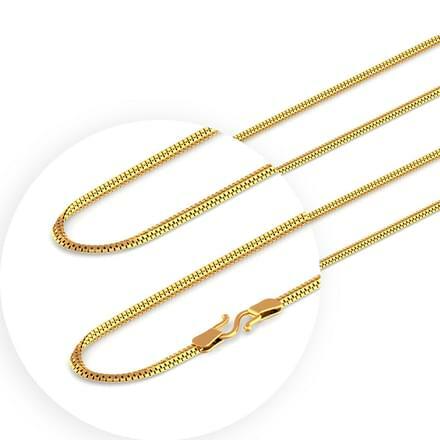 The Prisha 18 inch 22K gold chain that competes with the Daryl 22 inch 22K gold chain and the Pari 18 inch 22K gold chain; all meant for the men folk. This way, you will be spared of running from pillar to post scouting for gold chains for men and women. 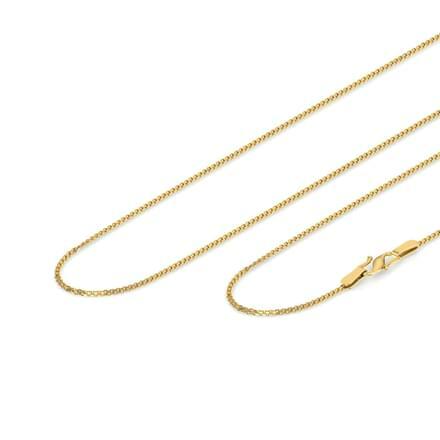 Specially crafted to express the unsaid feelings of love, the Valentine's Day category of latest chains has attractive offerings for your dear ones. 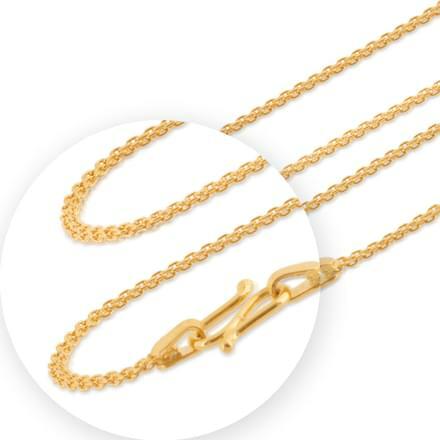 Be it your mom or dad, your best roommate or your sibling, there is a chain that is waiting to be ordered as a loving gesture between the giver and the receiver. 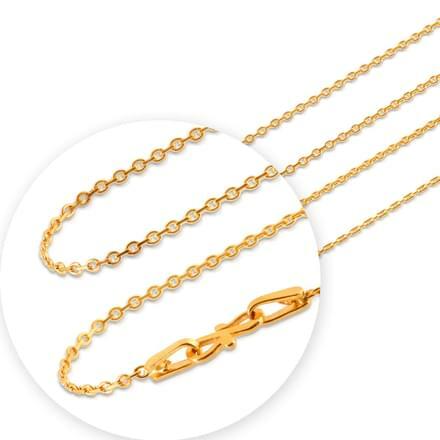 Chain designs in gold includes gold chain for baby,gold chain designs for ladies and gold chain with pendant. 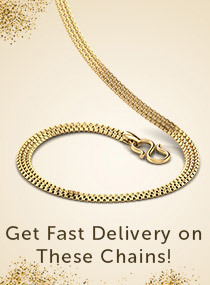 Caratlane, which allows patrons to buy jewellery online presents an exciting assortment of gold chains crafted based on different themes. 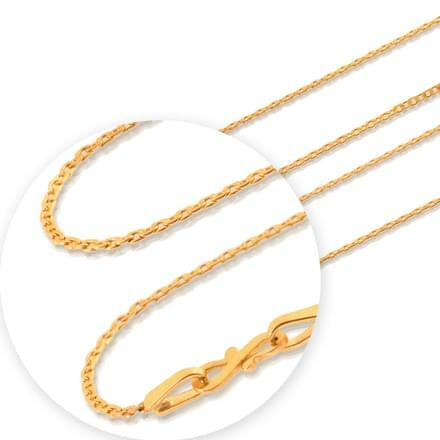 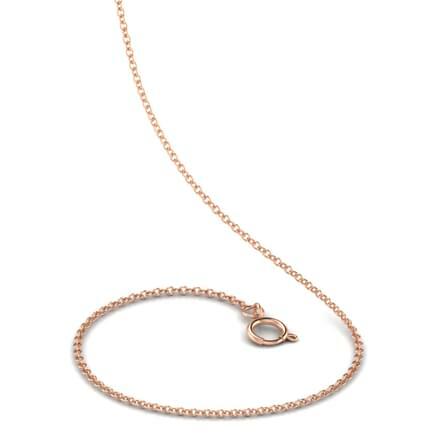 The "Classic" theme featuring a long list of trendy necklaces all made of yellow gold are simply breath-taking. 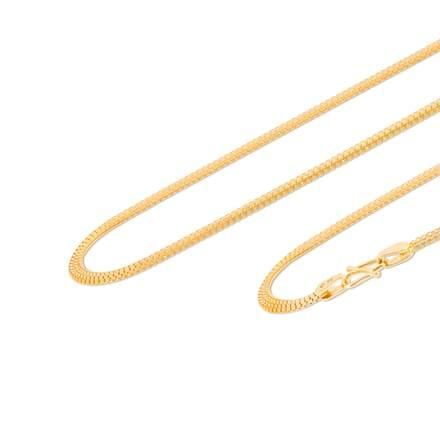 Living by its very name, the "Contemporary" theme enlists a host of gold chains sporting dual tones of white and yellow gold. 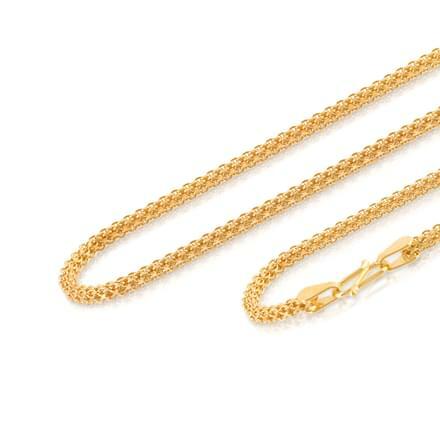 Ethnic designs listed under the "Traditional" name portray the artistic mettle of Indian goldsmiths to the world at large. 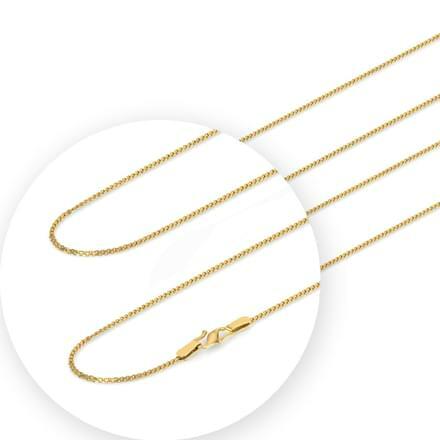 And if you wish to include foreign designs in your jewellery box, then the gold chains sporting trendy "Italian" designs can become your perfect choice.